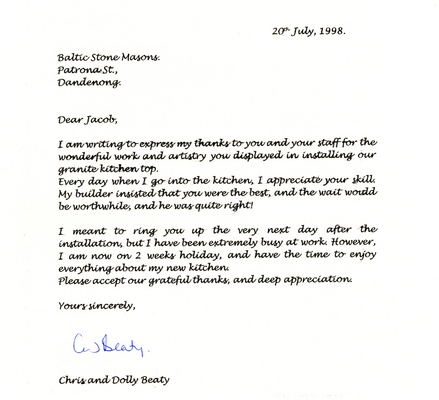 Have a read of what some happy Baltic Stone customers had to say about us. 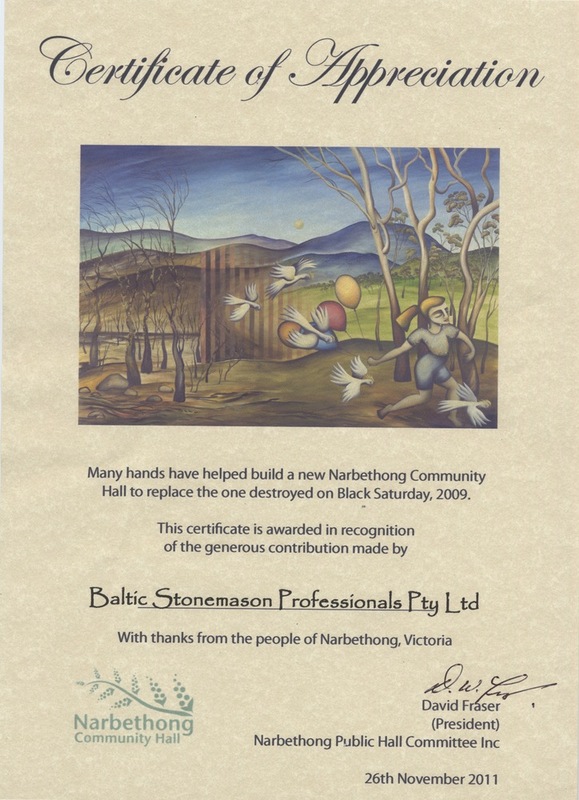 Many hands have helped build a new Narbethong Comunity Hall to replace the one destroyed on Black Saturday, 2009. This certificate is awarded in recognition of generous contribution made by Baltic Stonemason Professionals Pty Ltd. With thanks from the people of Narbethong, Victoria. On behalf of Crown and A.I.A. (Architects in Assoc. ), I would like to express my appreciation for the effort, dedication and expertise provided by your Company to help make the Melbourne Casino an outstanding succes. A special 'Thank you' to Chris and to Madeleine for their friendly service and professionalism. 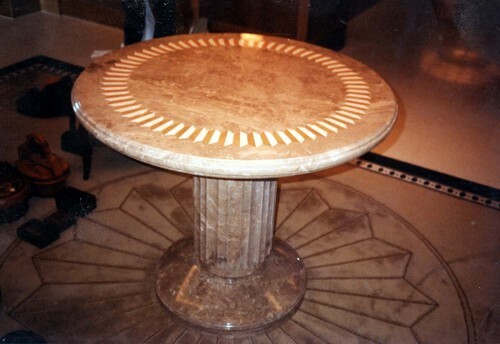 Most noteworthy was the circular Karnazejko marble table with limestone inlays. A real exhibition piece and beatifully made. I look forward to working with your firm again on future projects. Thank you seems such an inadequate word! 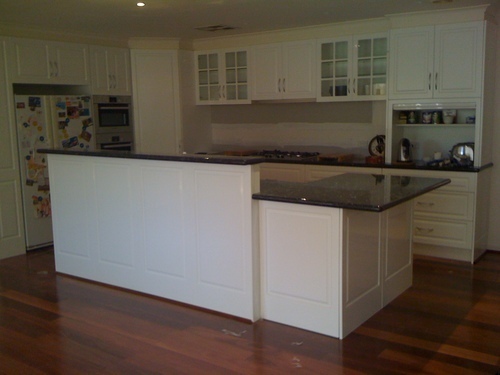 I catch myself just standing and staring at my wonderful kitchen every day!